Hours after she was sworn in on Capitol Hill, U.S. Rep. Rashida Tlaib (D-Detroit) wasted no time in voicing her intention regarding President Donald Trump. 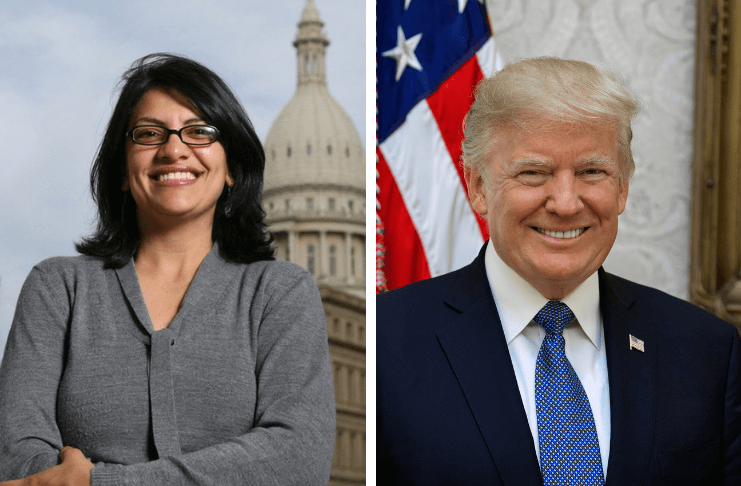 Tlaib, a former state House member, has challenged Trump in the past. In August 2016 at Detroit’s Cobo Center, she joined a group demonstrating when Trump unveiled his domestic economic policy plan during a meeting of the Detroit Economic Club. Tlaib and about one dozen others were forcibly escorted out of the ballroom. Tlaib is the first Palestinian-American woman to be elected to Congress. She and U.S. Rep. Ilhan Omar (D-Minn.) are the first Muslim women to join the body. Tlaib also posted two tweets this morning that appear to allude to her statement on Thursday. This story has been updated to include a video of the event and a statement from Tlaib’s office.